Mary's story is not unlike many of the other women in the WEMA group. 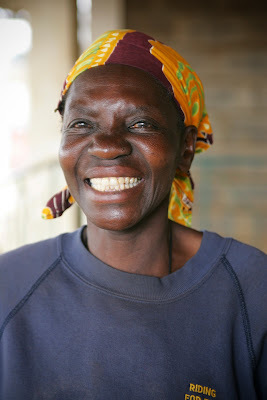 She left her home in Western Kenya to come to Nairobi to find work. She came with her husband and children, only to be left alone when he passed away to find a way in which to maintain her family unit. Right now she is taking care of two orphans and three grandchildren and is unwavering in giving them an education. School fees for primary school are 2200 ksh per term, with three terms in a year (approximately $82USD per year). This may not seem like a lot to those in the States but for someone who makes less than two dollars a day, those fees can be daunting, but not for Mary. She makes sacrifices for those under her charge and sees that an education must be given at all costs. "How will they have a better life if i do not give them this", she says when discussing the financial strain of educating her family. They will have a better quality of life through education. Mary has no doubt of that.